Re Fitting a Supercharger, Part 1 - installing a blower on a Prius... I've been waiting two years to hear that! Way to go (from Toyota Nation.com)! Easier than installing a blower, I've come up with - and used - a neat turbo mounting trick on my Lexus ES300. The same mod has been done on other people’s ES300s. There is no room in the engine bay without relocating the battery, cruise control and stepping down to 2 inch up/down pipes (they simply don't fit around the transmission housing). Instead, we simply weld in a Y-pipe and plumb the turbo where the cat converter normally sits. Honestly, we could do it without a Y-pipe - just weld the cat flange to a turbo flange. So far, no one has bottomed out and ripped off a turbocharger. If you're not grossly over-sizing a turbo (normal T3/T4 - GT30 sizing), the majority of the turbo body isn't the lowest part in the car (and it’s actually semi-protected by one of our frame supports). Looking at the "Modifying Under-Car Aerodynamics" article from a while back (Modifying Under-Car Airflow, Part 1), there looks to be enough room to plumb a T25/T3 size turbo where your cat converter sits. The good news is piping everything is *so* much easier. The only real downside is fear of speed bumps if you've lowered the suspension – that and emissions. To pass emissions you could try low rpm water injection and adding acetone into the gas tank. (I've never taken an emissions test, but I've seen data that suggests both can help that). Glad you liked it. It’s interesting that you mention a turbocharger... stick around! 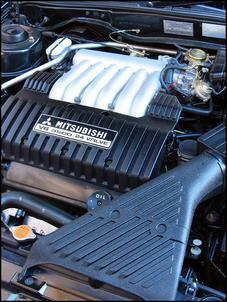 I'm looking at supercharging my 2000 TJ Mitsubishi Magna 3.5 on a tight-ish budget (but still sticking to reality). I was wondering if you guys know of a second-hand import supercharger (maybe 1G-GZE) that would do the job. I'm not after a massive gain, just a little more than I have now. The closest import blower for the job would be from a Eunos 800M engine – but it appears even this would be too small (your atmo engine already makes more power than the supercharged Eunos). One option would be to run a pair of 4A-GZE superchargers (rated at more than 107kW each in factory guise). Also, note that Sprintex has an off-the-shelf 225kW blower kit to suit the Magna (see www.sprintex.com.au. I was wondering if you had any plans on doing a review of the Hyundai Tiburon. It's not a bad looking car, but I’m still not sure... With the German input into this car it just might be worth looking at. Great mag - keep it up. 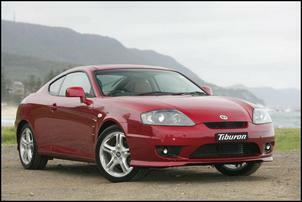 Yes, the Tiburon V6 looks interesting and we’re hoping to arrange a test. Hi guys - I love the publication. I’m just looking for a bit of advice in regard to upgrades. I've recently bought a Peugeot 406 SV and am looking to spice up the power-to-weight ratio. I’ve done my research and a chip of some variety married to a high-flow exhaust and cold-air intake combo may be the way to go. What brands would you suggest? Any other mods or ideas? The car is great as it is - razor sharp handling and great punt off the line from that 3.0 litre V6 but I want to eat Holdens and Skylines, or at least get half the way there. You’re on the right track – we imagine an exhaust (from the headers back), modified air intake and perhaps an engine management mod (probably of the interceptor variety) will make a decent improvement. We’re not aware of any off-the-shelf parts to suit in Australia so you’ll probably need to go for custom mods. 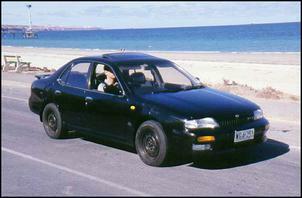 Just a quick note to tell you that you have mis-designated the Bluebird and Pintara in the article "Pre-Owned Performance - Nissan Bluebird (Altima) 4WD Turbo". These cars designations start with a "U" and should read "U13" and "U12" not N12 and N13 as these refer to Pulsar designations and are a completely different model. Well spotted – article now corrected! I was looking at an article from your web site about a Nissan RB30 engine with an RB26 head and I was wondering if you can help me with any more info. I need to know how to do the swap and what special or custom parts I need. I currently have a RB30 block and RB26 head and I would really appreciate it if you can help me. You might also want to talk with the workshops listed in each article. I have been into cars for a few years now and I must say that I have learnt so much from publications by Julian Edgar (I love his book “21st Century Performance”). 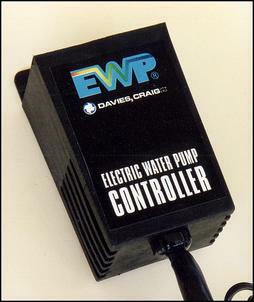 Anyway, I was looking into a new water pump for my Nissan Pintara TRX (KA24 engine) and was very interested in the Davies Craig EWP. Naturally, I looked for a review here and was disappointed to find it withdrawn (Testing the Davies Craig Electric Water Pump - Part 1). Basically, I was seeking advice on their benefits and whether it would be suitable/advantageous for my engine. Any opinions would be greatly appreciated. Unfortunately we are unable to comment on our findings in regard to our original article. We have not had any subsequent experiences. I have recently read about the OZTrip computer in your online magazine The OzTrip Car Computer, but I believe that it is no longer produced. Is there any other electronics kit available that could be used as a rally computer that is accurate at measuring distance travelled, average speed, etc and that is quickly resetable. We have not seen any other similar units advertised – can any readers make some suggestions? Re: Digital Fuel Adjuster kits. Do the Digital Fuel Adjuster (DFA) kits have various rpm/load maps in them or are they just load only? I ask this because I am looking for a cheap alternative to an aftermarket, fuel-only ECU. If the DFA has 'maps' in it, it fits the bill perfectly. No, the DFA is load based only – it’s intended to alter engine tune when working in conjunction with a factory ECU.